I’ve recently been strongly affected by something that I found out, and so I thought I would write a miniature story about it. The challenge is not to write more than 140 characters, which is a great challenge. See if you can figure out what the story is about. Miniature Story. What’s it about? 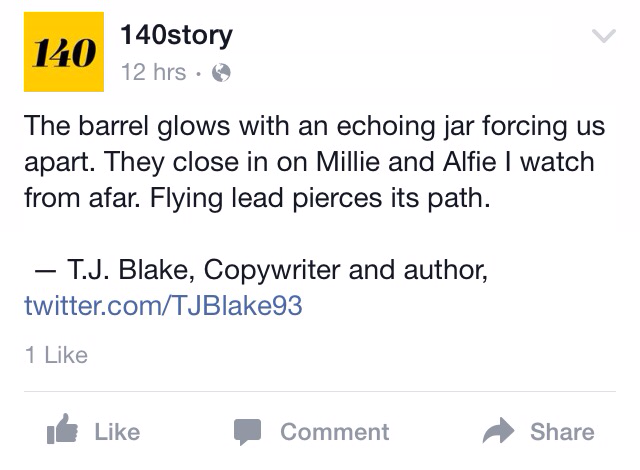 Can you guess what my miniature story on ‘140 Story’ could be about?